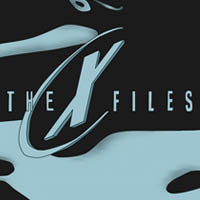 The seminal 1990’s sci-fi program The X-Files returns to television screens on January 24th, 2016 for the first new episodes in fourteen years. 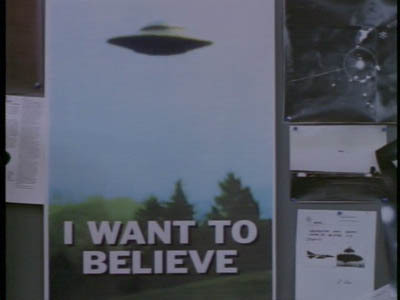 For anyone unaware of The X-Files beyond being about alien conspiracies, UFOs, and evil government agents, you’re in for a treat. I was just like you once. My favorite pastimes were professional wrestling, cartoons, and the NBA, while The X-Files was the furthest thing from my radar. It wasn’t until the series was at its end that I came aboard, which was in 2002, after watching an episode about a gigantic, worm-like creature that haunted the sewer systems in New Jersey. I was still a little slow to join the bandwagon, but a couple of years of watching reruns on the Sci Fi Channel, and even an old girlfriend lending DVDs to me, I arrived at where I stand today. For anyone who remembers the series, this will be a trip down memory lane. To prospective new fans, consider this my best sales pitch. 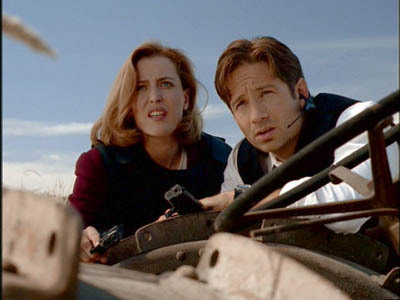 This episode premiered in the Fall of 1993 and introduced television audiences to Fox Mulder (David Duchovny) and Dana Scully (Gillian Anderson), who would be partners for the better part of a decade, as well as two feature films. 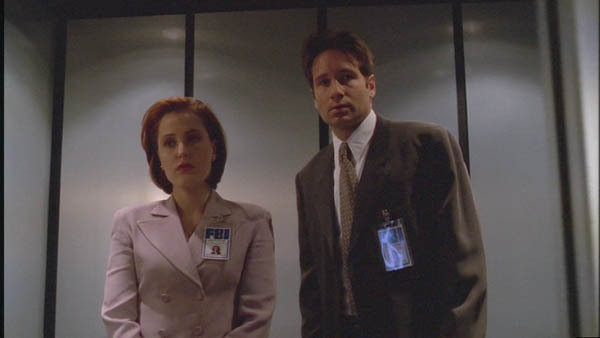 The Pilot does a fine job of laying the ground work for the series- FBI Agent Fox Mulder has been assigned to an office in the basement where he often researches cases through magazines, classified ads, and even video tapes. Agent Dana Scully has been assigned to work with him as a counter balance to his far-out theories and must report back her findings; this keeps him ground as she is the skeptic against his habits to believe in just about anything. There’s also a shadowy government conspiracy that steals their evidence, keeping Mulder in the dark and looking like a fool. Why does he have such crazy theories and a job investigating the paranormal? I feel like each episode is similar to The Twilight Zone and The Outer Limits, in that each week there’s a different tale of a supernatural happening or science fiction creature on the loose, with Mulder and Scully being sent to investigate. Coming into this series as a fan of those anthology programs like The Outer Limits, I enjoyed that each episode offered a different self-contained story; there’s something from every genre. Mulder was a brilliant criminal profiler, yet his younger sister’s disappearance as a child still haunts him, which led to his pursuit of her through these “X-File” investigations. The arc of the series is mostly his, with viewers entering the story just as Scully does, and it’s a good way to explore these themes and watch the conspiracy unfold; which she also becomes wrapped up in. Along with Mulder and Scully, another important character is introduced here as well, the shadowy Cigarette-Smoking Man. On the surface “Sleepless” appears to be your basic case-of-the-week, but in actuality it could be one of the most important of the series, not just Season Two. Mulder is joined by a new partner, Alex Krycek, who eventually sticks around the series for the entire run. During this brief period Gillian Anderson was pregnant, leading to reduced screen time, so Agent Krycek was inserted as a temporary partner while Mulder and Scully were split up. Mulder’s boss Assistant Director Walter Skinner is also present, as well as a new wrinkle in the series — a man by the name of X. So many key components are present or introduced within this hour that would keep the ball rolling for several seasons to come. While Season One was mostly conspiracy-free, focusing on the paranormal investigations and things that go bump in the night, this second season showed just how deep and deadly this conspiracy actually is. X acts a bridge for Mulder, giving him brief clues and leading him down this path to discovery. All that Mulder had to worry about in Season One was his evidence getting taken away, but this season he has to worry about losing his life or even Scully’s. 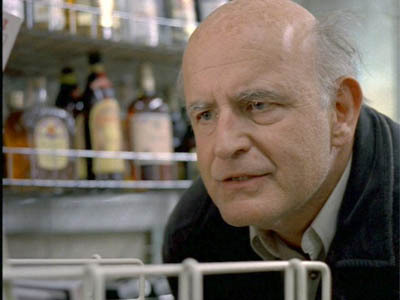 “Clyde Bruckman’s Final Repose” is one of the finest episodes of the series, which earned Emmy Awards for its writer Darin Morgan and also guest star Peter Boyle. I believe at one time it even ranked among Entertainment Weekly’s 100 Essential TV Episodes. It’s also an early example of the series stretching beyond monsters and conspiracies, as “Clyde Bruckman’s Final Repose” is about a reluctant psychic played by Peter Boyle. The episode had me hooked from the early moments when Clyde is confused about the pronunciation of Lollapalooza while the cashier he’s talking to is equally baffled as to who Buddy Holly is; it’s a prime example of the off-the-wall humor that Darin Morgan brought to the series. Bruckman joins Mulder and Scully as a psychic on their murder investigation, which is all about psychics being killed. 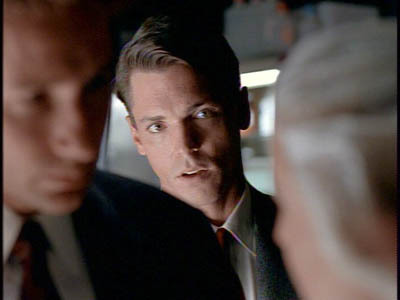 I think the episode was written to highlight Mulder’s quirky traits, giving him an equally quirky character to interact with in Clyde Bruckman. Darin Morgan’s brief tenure with the series saw him write two more this season, after coming aboard the previous season, and he’d end his run with a guest starring role in Season 4’s “Small Potatoes”. He returned to the series as part of the upcoming 2016 mini-series, and his episode is the most-anticipated of the brief 6-episode run. While “Clyde Bruckman’s Final Repose” was a famous episode, winning awards and critical acclaim, “Home” is the opposite. It is a notoriously grim episode that was even banned from airing in reruns on the FOX Network, though it gained enough fan votes to air during a Thanksgiving marathon on FOX’s sister network, FX. In this hour of television Mulder and Scully are called to investigate murders in a small town, seemingly out of their element, and find themselves up against an odd family of genetic freaks. It may seem tame now to TV audiences following cable shows like The Walking Dead, Game of Thrones, and even NBC’s Hannibal. However, The X-Files excelled at creating a creepy atmosphere in these early seasons filmed in Vancouver and this fact still sets it apart from its TV peers. Andy Fact: In my X-Files collection I have a Fox Mulder doll decked out in the SWAT gear from this episode. Long-time series writer Vince Gilligan wrote this script, whose name is familiar to TV audiences through his creation of the acclaimed Breaking Bad series. Gilligan was an essential writer on The X-Files, mixing both comedic and thriller episodes into every season he worked on, and also had a knack for furthering the series’ continuity. Much like that old Sy Sperling hair commercial for men with the line “I’m not just the owner, I’m also a client”, Vince wasn’t just a writer, he was also a fan. Likely the biggest fan of the series. Some die-hard fans will likely dispute these choices of only one essential episode per season, especially these middle years, but I stand firm in my choices as I feel they best highlight the evolution of the series. The X-Files began as a spooky conspiracy drama in 1993, yet by it’s 5th year in 1998, it had begun a clear departure from mixing the two. “Sleepless” (from Season Two) was an example of that style at it’s finest, with it beginning like a standalone episode but ending with it’s roots in the government conspiracy. As the series progressed, those conspiracy episodes were featured as “event” two-part episodes only twice per season, typically book-ending each season, while standalone cases were strictly separate from conspiracy elements. In “Monday” Mulder finds himself caught in a time-loop, much like the repeating day scenario in Groundhog Day. The writers also cited The Twilight Zone episode “Shadow Play”, where a man was doomed to being executed at the end of each day and his attempts to stop it. The episode, also co-written by Vince Gilligan, blends comedic moments along with the serious ones. 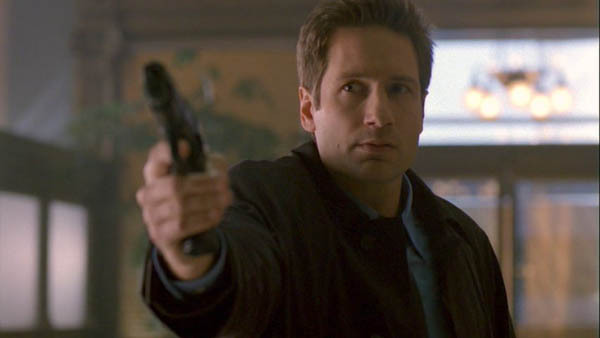 I chose seven episodes to highlight the seven seasons where David Duchovny was a featured star, though he does make select appearances in the final two seasons. Just like the previous episodes, this is also written by Vince Gilligan, which blends his favorite show COPS with The X-Files. On paper that sounds like one of the worst episodes you could ever imagine and its no surprise that the series producers nixed the idea at first. I was just as skeptical as Scully, yet for years every time I mentioned the series to my grandma, she always brought up “the one when they were on COPS.” It created an aura surrounding “X-COPS”, which may have set my expectations a little too high. Those expectations aside, it does create a unique feel for the episode as it was filmed entirely by the COPS production crew. It’s also ahead of it’s time, maybe not intentionally, but in the years since it’s aired, so many movies and television shows have used the “found-footage” handheld style. It might not be the best episode, but it’s unique and memorable, which actually is a great example of how the show evolved and took creative risks. As The X-Files’ return to the small screen is just days away, if you want an introduction into the series, hopefully this is it. The newb of the P2BN, I'm from a boring corner of the Midwest, just a few hours south of P2BN bro Steve Wille. I love tag team wrestling, The X-Files, Alice Cooper albums, and my life-long dream is to be a contestant on a game show.